Located in Downtown Toronto, surrounded by fantastic restaurants, bars, entertainment and shopping, with access to all major attractions. 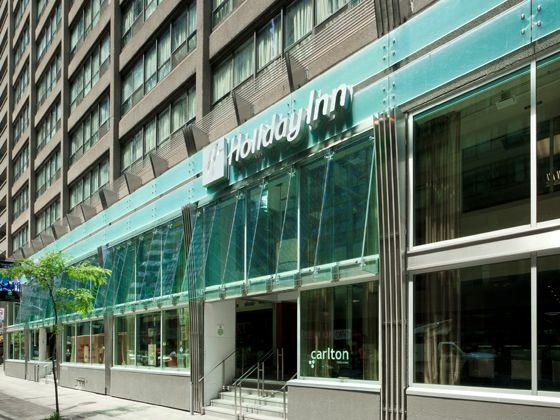 The Holiday Inn Toronto Downtown Centre is conveniently located just 5 minutes walk from Younge Subway Station and Eaton Centre and 15 minutes from the CN Tower. Other nearby attractions include the Princess of Wales Theatre and Royal Alexandra Theatre. 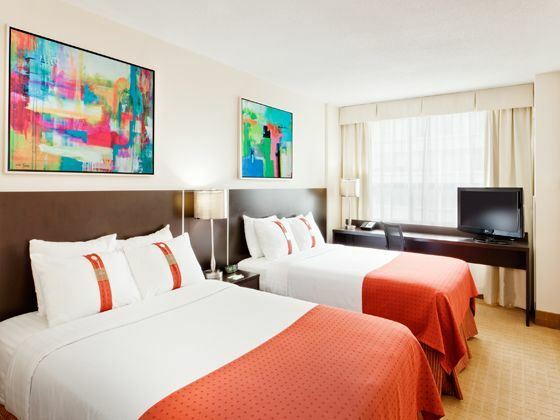 Modern well-appointed guestrooms feature contemporary amenities, Bath and Body Works toiletries and comfy beds. The Carlton Restaurant features a contemporary open-kitchen with buffet breakfast and a la carte lunches and dinners, The Thirsty Bar offers light fare and signature drinks. 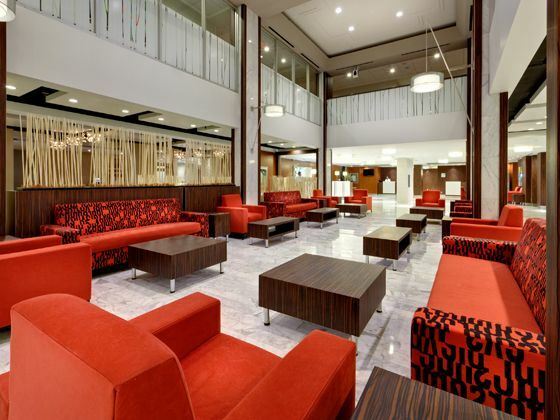 Located in Downtown Toronto, surrounded by fantastic restaurants, bars, entertainment and shopping, the Holiday Inn Toronto Downtown Centre is conveniently located just 5 minutes walk from Younge Subway Station, with access to all major attractions. 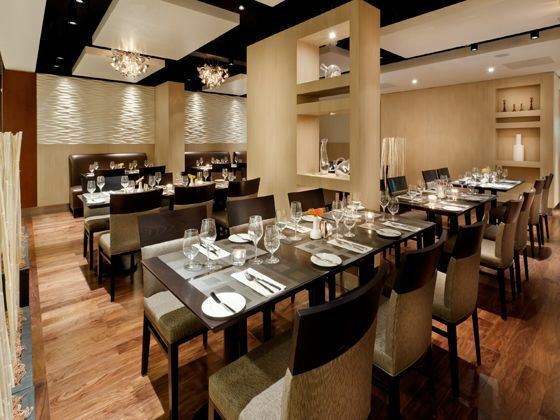 The Carlton Restaurant - Contemporary open kitchen, friendly staff and tasty food. Open for breakfast, lunch and dinner. 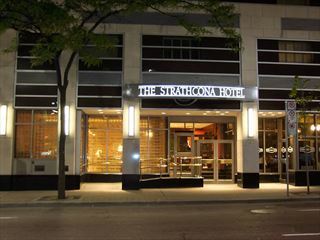 Located in the heart of Downtown Toronto, The Strathcona offers exceptional value with all the comforts you would expect from a metropolitan hotel. The guest rooms offer the latest in comfort, style and of course, the great location. 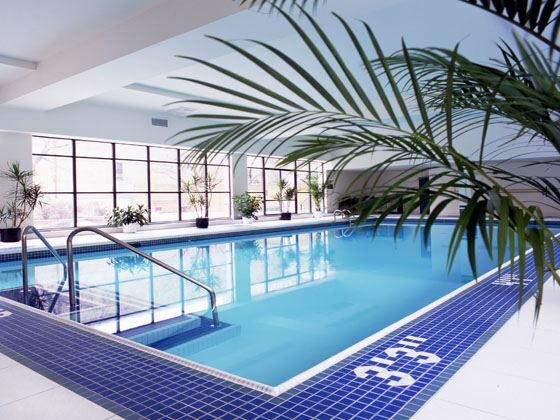 Located in the heart of downtown Toronto and close to all major attractions. 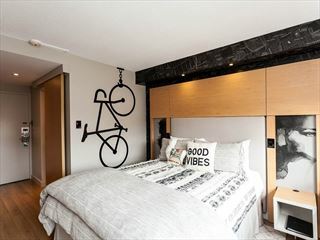 Just a five-minute walk to the Eaton Centre and backing onto the Pantages Theatre. 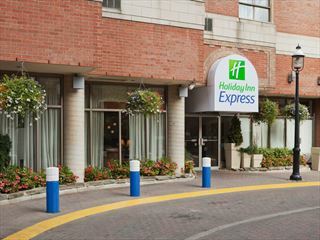 Situated close to the CN Tower and St. Lawrence Market, the Holiday Inn Express Toronto Downtown is not far from the waterfront if sightseeing is on the agenda.